1 Samuel 15:11, 35 It repenteth me that I have set up Saul to be king: for he is turned back from following me, and hath not performed my commandments. And it grieved Samuel; and he cried unto the LORD all night. 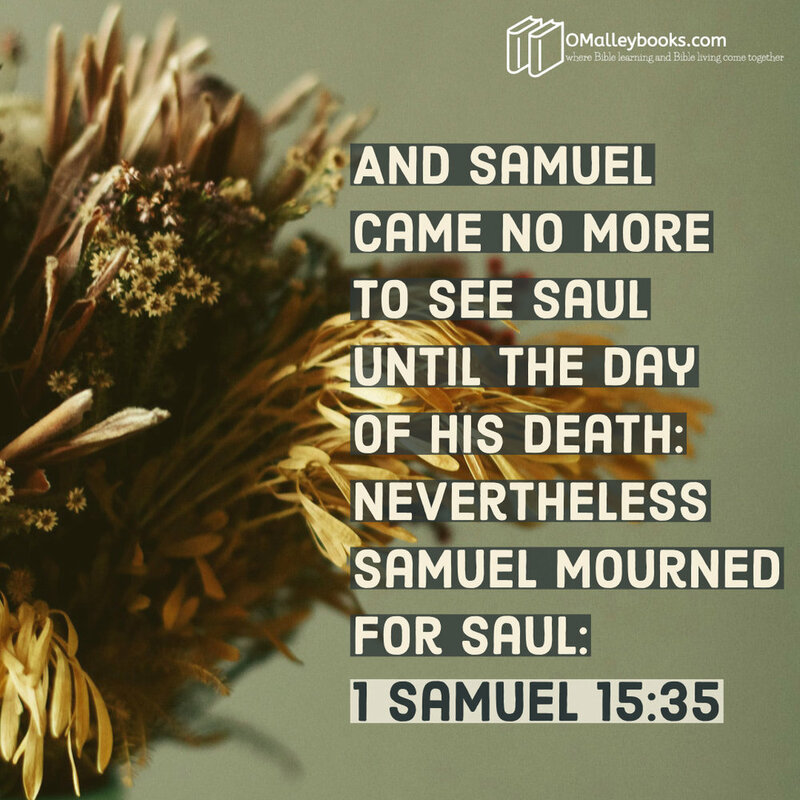 … And Samuel came no more to see Saul until the day of his death: nevertheless Samuel mourned for Saul: and the LORD repented that he had made Saul king over Israel. Have you ever seen a picture of a donkey laden with load piled twice its own height? Have you ever watched oxen pull a load greater than its own weight? Even the ant, though smaller in stature, carries many more times its weight. We wonder how do these creatures bear the entire load! In our focus verse today, we are given insight to the load a Godly pastor bears for his people. The man of God commissioned by God to the church you attend will bear the load of the burdens of his people. Oh, yes, I know we turn our burdens to the Lord for His sustaining. Yet recognize this truth: the pastor has been given the watch care for your soul. He will be burdened for your responses to the commands of the Lord. Consider this one Samuel had watch care over. Saul had made several egregious errors. Samuel, the OT ministry equivalent in this setting of a NT pastor, is a man of burdens, tears, and prayers. We are tempted to ask, “Is not the ministry not the Lord’s?” “Is not the King answerable to the Lord?” Yes, to both is the answer. But the pastor will carry a heavy burden for the ones God has given him watch care over. God’s man Samuel, who was assigned to Saul, bore the burden heavily. He knew what it meant for Israel, for her king, when he made his choices. It grieved him, but God’s will had to be done. He had to deliver his last message to the wayward leader. He would do this deed assigned and it would be the last till Saul’s death. Oh, how this added to the load. You see, some days pastors get to anoint kings. But there are still other days where they have to set them aside. Oh, the burdens they bear for the souls they watch after. Have you a Pastor bearing a burden? Pray, I urge you. Earnestly plead to God on his behalf for strength, wisdom and comfort. Please pray for the man of God assigned to your life and family; you know he is praying for you and yours.